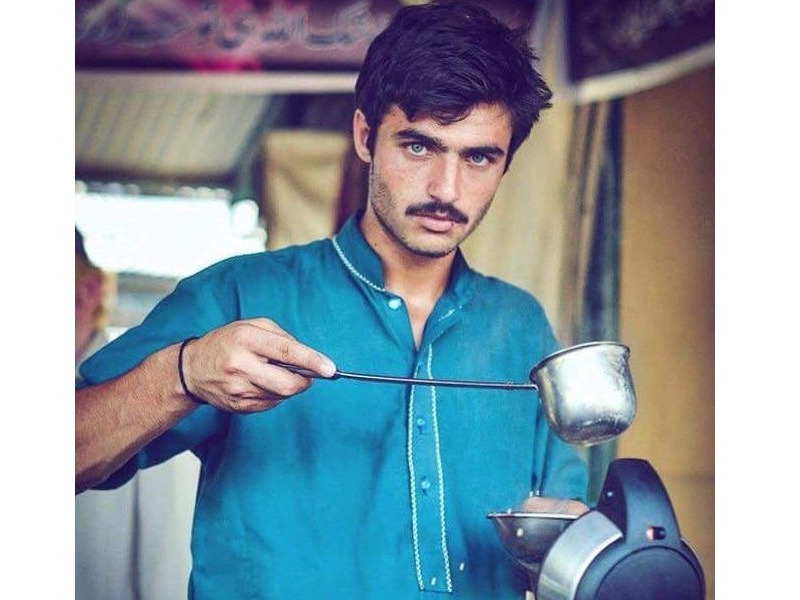 So The Chaiwala Isn’t Just Incredibly Beautiful, He Also Has Serious Swag! This interview is proof that the "Hot-Tea" who broke the Internet is as cool as his beautiful blue eyes! Unless you’ve been living under a rock or a self-imposed social media sabbatical, you have heard of, nay, seen Arshad Khan, the tea-seller from Islamabad whose photograph by Jiah Ali went viral. And nobody is to blame for mooning over that dreamy blue pair of eyes which also smolder simultaneously. Not even this journalist, who tracked down Arshad Khan, and was so overwhelmed by this proof of God’s existence that he could not form coherent questions to ask him! Arshad Khan, it turns out, is dealing with his newfound fame with admirable poise (which makes us love him even more). First Momina Mustehsan, now this thing of beauty… Aman ki Asha anyone?